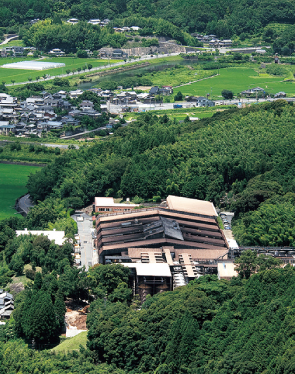 We endeavor to harmonize with the rich environment of Usuki and utilize its power in manufacturing our products. We will hand over the rich environment to the next generation. For achieving a low-carbon society, we promote energy saving in all processes of our business activity and actively use alternative energy, which is friendly to the environment. To reduce loads on the environment, we actively promote 3R (Reduce, Reuse, Recycle), which intends to efficiently utilize anything that can be reused or recycled as a resource. In addition to the conservation of the global environment, we also try to establish a work environment which is friendly to our workers: "the company is for its workers." To reduce the emission of CO2, which is thought to be the cause of global warming, we use LPG and LNG, which are friendly to the environment, at our soy sauce factory and dressing factory. To improve production efficiency, we grasp the energy consumption per production unit at each factory to save energy and try to reduce excessiveness, wastefulness and irregularity in production. We have also set a numerical goal for each of our energy-saving activities, such as "the introduction of an energy-saving machine," "changing to LED lights" and "turning off lights and air conditioners at break times," and report our progress at monthly meetings. At the end of the year, we summarize our activities to utilize the result for the next year's goal of energy saving. Each of our factories is fully equipped with its own waste water facilities suitable for its products to prevent environmental pollution and damage. 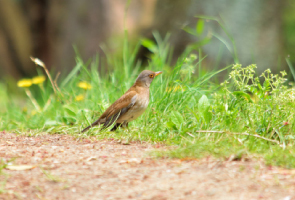 Since each of our factories is located in a natural environment, specialists thoroughly survey the surrounding ecosystem and make specimens of insects living there. We design our factory structures to prevent those insects from entering the factories and install lighting facilities which do not attract them to maintain a hygienic environment without damaging the ecosystems. A large amount of food waste is produced everyday at each factory. We recycle it into compost to make a fertile soil. The premises of each factory, which is surrounded by a rich natural environment, is not asphalt-paved so that rainwater permeates underground. 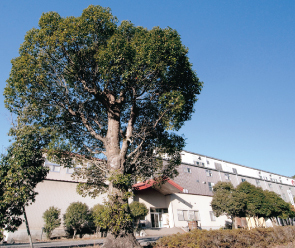 Our soy sauce factory aims to be "an environment-friendly factory." In January 2014, we totally replaced our old fuel systems, such as cogeneration systems and boilers which use A-type heavy oil, with fuel systems using natural gas. 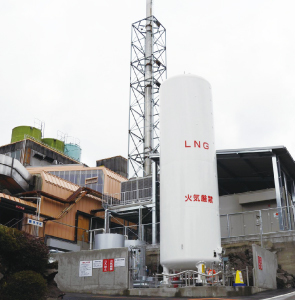 It is the first factory in Oita Prefecture that is equipped with storage facilities of liquefied natural gas on its premises. This has allowed us to reduce 1,400 tons of carbon dioxide emission, which is equivalent to about 30% of our past annual average emission of CO2. In 2004, we also developed a steam boiler which uses steam generated in soy sauce fermentation to reduce energy consumption. We also use part of the generated steam to further dry dehydrated sludge produced in the waste water treatment process and distribute it as compost to nearby farmers.